Visit some of the best sports bars and pubs in Kumasi. Fall in love with Ghana's 'hiplife' music. Enjoy the fascinating nightlife of one of the most exciting cities in Ghana. It's currently high season in Ghana. Book today to reserve your seats and lock-in your prices. Try your hand at cooking some of the top dishes of Ghana with a local. Visit a local market to shop for spices and produce. Meet a talented home cook for insightful cooking tips. Discover beautiful open-air markets in West Africa. See fabrics being transformed into clothing. Watch scrap metal being transformed into beautiful crafts. Rub shoulders with the chiefs of Kumasi and the King of Ashanti at the Akwasidae Festival at Manhyia Palace, or, watch voodoo performances during the Voodoo Festival in Ouidah..
Cross Lake Togo and feel the history of Togoville in its palaces, churches and the voodoo fetish stalls lining the streets.. Discover Ghana – with its ancient to modern history – in the capital of Accra..
Ghana (meaning “Warrior King”) is located in Western Africa, a region which is known for being accommodating towards travelers. Kokrobite offers some of the most excellent beaches the nation has. 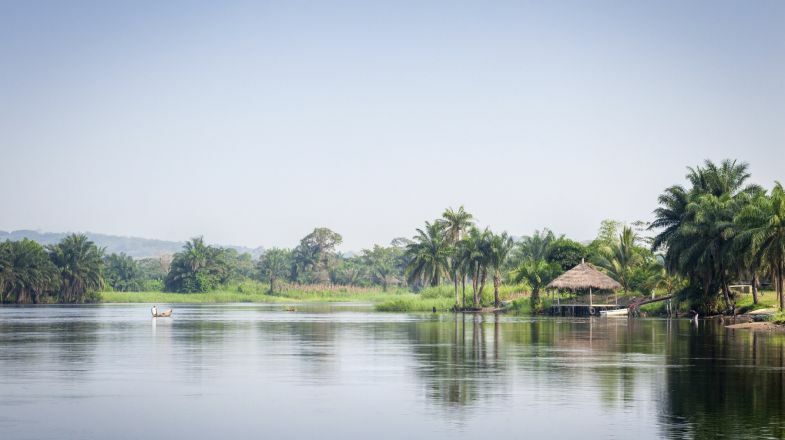 The Kakum National Park is also a delightful place to experience the lush nature of Ghana. Typically, foreigners and tourists can expect the people of Ghana to be friendly toward those unacquainted with their way of life. A holiday in Ghana means there is a lot to do and see. Accra, the Capital of Ghana, is great for Western travelers as English is the city's primary language. Take a safari while enjoying the savannah in Mole National Park. Relax at the some of the most beautiful beaches in Cape Coast. Sipping a cocktail under a palm tree here isn't a bad idea. Visit the Elmina Castle that was originally a center for Portuguese trade. Dating back to 1482, the castle now serves as a major tourism draw in the Elmina economy. Try some local eats. Ghana offers exciting cuisine, and some of the street food like chicken and Jollof fried rice is delicious. Ghana is one of the safest countries in Africa. However, the country is not exactly welcoming towards LGBTIQ community. Malaria in Ghana is widespread. Therefore, bring a mosquito repellents before travelling to Ghana. You may also want to check in with your doctor with regards to any necessary vaccinations before your trip- Yellow Fever vaccinations, for example, are required. Remember that not all restaurants are operating under common western standards of health. And the ones that do typically cost a pretty penny compared to the “chop shops” often seen on the streets. Be careful what you do with your left hand. Every culture has its customs, and in Ghana doing things such as eating with your left hand is considered impolite and improper. Ghana has seasonal weather so please do check up on the best time to visit Ghana before planning your tour. And if you’re still hunting for more things to do and places to explore in Ghana, do check out our Ghana Travel Guide for more information.